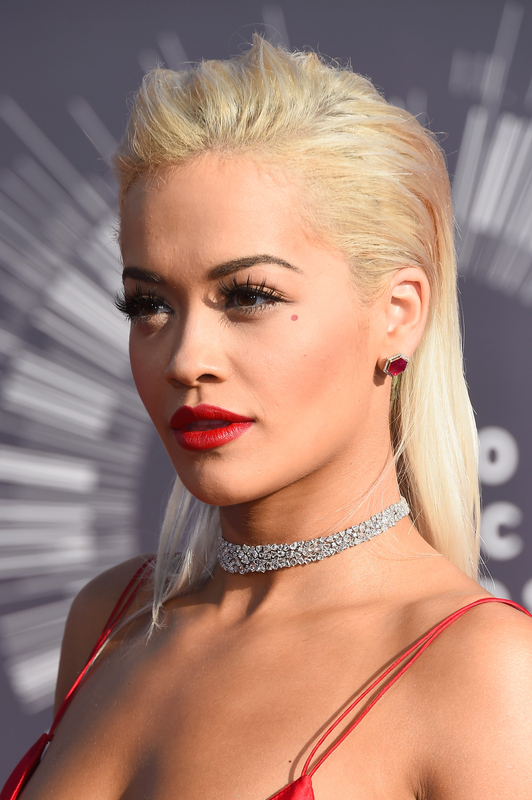 Ultra-vampy fashion is just how Rita Ora does. It can simply be no other way, and she didn't let us down tonight. Arriving at the MTV VMA red carpet, Rita Ora wore a spaghetti-strap red floor-length gown, with a plunging neckline and a thigh-high slit. Let me be the first to say, holy legs. She swept her blonde hair back simply and opted for a classic red lip. I wouldn't be entirely off the mark if I said that this was a nod to both Jayne Mansfield, and Marilyn Monroe. She's gonna love you like a black widow, baby. PS, she's not wearing underwear. As compared to her get-up last year, Ora has toned it down in some departments, but amped it up in others. Sure, this look has turned up the cleavage and the thigh, but definitely toned down the train. Just in case you don't remember, the "How We Do" singer graced the VMA red carpet in 2013 wearing an Alexandre Vauthier gown with a 20-foot ostrich feather train. Yeesh, just imagine what that flat tire would have looked like. At least in a completely un-embellsihed crimson silk dress, this year she won't leave a trail of feathers everywhere she roams. The singer will join Iggy Azalea on stage to perform their new single "Black Widow", which I am expecting copious Kill Bill references to be deployed throughout. Ora sadly isn't nominated for any moon men this time around, but obviously, it's just an honor to get gussied up and show a generous amount of inner-sideboob.